The Peninsula Medical School is committed to three core aims: outstanding clinical education; strong social engagement; and world class research which will all feature strongly in your learning experience. 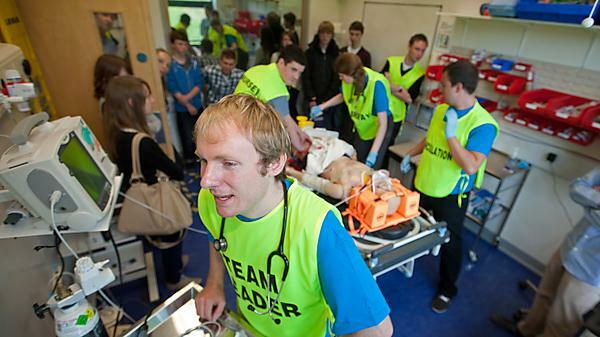 A key strength is our close relationship with NHS partners, with early clinical contact for all our students. The South West offers healthcare and learning opportunities of exceptional quality; Derriford is one of Europe’s largest hospitals, and the only trauma centre in Devon and Cornwall. The Institute of Translational and Stratified Medicine (ITSMED) is the core of our research activity. We are looking for highly motivated and talented students to join us and become the next generation of doctors. In addition, veterinary students who have successfully completed their second year may also be eligible to apply for the third year of either BSc (Hons) Animal Conservation Science or BSc (Hons) Animal Behaviour and Welfare, Veterinary students who have successfully completed their third year may also be eligible to apply for MSc Zoo Conservation Biology. ITSMED brings together the world-class research strengths of the University of Plymouth, its medical school and Plymouth Hospitals NHS Trust.